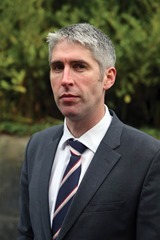 David Young is the Press Association’s chief reporter in Ireland. Originally from Enniskillen, he attended Portora Royal, the University of Edinburgh and Napier University, and worked for the News Letter before joining PA. I studied history at the University of Edinburgh and upon graduation actively considered careers in teaching, law and journalism. After much agonising, I eventually plumped for the latter and went on to do a post-grad degree at Napier University in Edinburgh. I got my break in journalism when I secured my first freelance shift, at the News Letter, in late 2003. Six months of freelancing at the paper followed before I was taken on full-time. Four years later, in 2007, I was hired by the Press Association. What have been the most significant stories you have covered over your career to date? 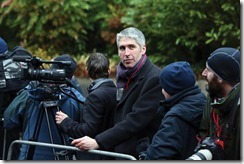 During my career, I have worked on many major stories in Northern Ireland and beyond, from the twists and turns of peace process political developments to serious security incidents and high profile court cases. The trial of double murderer Hazel Stewart was sensational and it was a real privilege to be part of PA’s Olympics coverage in London in 2012 but the story that has probably left the biggest impression was the Michaela McAreavey murder trial in Mauritius. Spending eight weeks on the island covering the dramatic, and often harrowing, case of the two hotel workers accused of killing the tragic honeymooner was the most demanding assignment of my career to date. 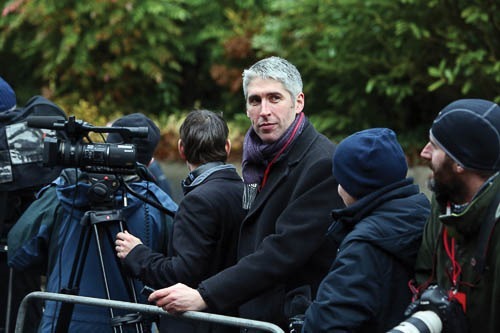 What is the role of the Press Association within the media? The Press Association is a news agency that provides written, pictorial and video content to a wide range of media outlets across the UK and Ireland and beyond. Our stories are accessed through what papers and broadcasters often refer to as the ‘wires’. Outlets can rely entirely on our content for a story they publish or broadcast, or use it to complement or inform coverage produced by their own journalists. Our customers sign fixed term contracts for access to PA content so it is not a case of pitching on a story-by-story basis. What are the differences between working for an agency and for a media outlet? Having worked in both fields, I am probably in quite a good position to assess the differences. There are quite a few. PA is a rolling news service so while there are no specific print or broadcast deadlines, you are essentially always working to get content out as quickly as possible, as you are mindful that your customers do have those deadlines. Working for an agency, you quickly get used to the fact that once your product goes on the wire you no longer have a direct influence on how it is used. So unlike writing for a paper, when you have an expectation that whatever story you file will end up in newsprint, you can work on a story all day for PA and find that little of your content is ultimately used by customers, usually because they have dedicated their own journalists to cover the same story that day. While that can be frustrating, there is a rewarding flip-side. When you file a story that few other reporters have covered you can find your story appearing across numerous platforms, often stretching to the other side of the world. As PA has a broad range of diverse customers, it essential that all content is produced in a neutral, user-friendly format. So while some other media outlets may want to pursue a particular angle on a story, at PA you always need to be mindful of producing a straight, factual account – one that would sit comfortably in either of two papers with very different political perspectives. While accuracy is important in all spheres of journalism, the need to get it right at PA is vital. As we have so many customers that rely on our content, you soon realise that one mistake made on the wire can be replicated across multiple media outlets within minutes. Outside of work, I like to spend time with my wife Kerri and our dog Harry. We would run quite a lot with the dog, usually in the beautiful surrounds of Victoria Park in East Belfast. I am an all-round sports nut and love watching it on TV and, whenever I can, at live events. I still play football, rugby (well, tag rugby), golf, cricket and tennis. A great day for me would be a morning run with Kerri and Harry, 18 holes of golf at Shandon Park in Belfast and then going home to watch winning performances by Manchester United and the Ireland rugby team.